Lately, I have been learning a lot about staying grounded in the present moment and letting things unfold as they are meant to. I am learning to surrender and simply trust what is unfolding without knowing why or how or when. This is a hard lesson not only for me, but for many others. Often in life, when you have a desire, you push and strive for the desire to be realized. Others will simply sit in passivity waiting for their desire to be fulfilled. What is better? Taking active, frequent action or to be in a state of inactivity, waiting for the heavens to open and magically grant your desire? The truth is that striking a balance between these two energies is the key to manifesting your desires to reality. The space of allowing and taking inspired action is a beautiful, sublime dance. 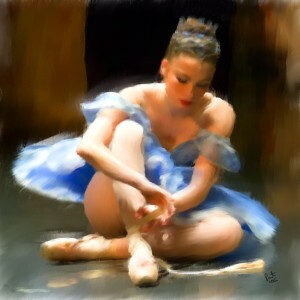 I have learned to master this art and I love dancing this delicate dance. It’s like putting your ballerina shoes on and with grace, nonchalance, and deliberate focus taking action because you feel this powerful inner pull. There is this tugging feeling deep inside that is guiding you take that step. You have no choice, but to act on what your heart is commanding you. What is your desire? Do you desire to be in a loving relationship? Do you want to have financial abundance in your life? Do you want to find a fulfilling career? It does not matter what your desire is, remember that you will only get more of what you already believe true about yourself and what you feel you have at this moment. I will give you an example. Suppose you are in a job that you dislike. You don’t feel fulfilled. You decide to look for another position that will allow you to harness all your mental and creative energy. But while you are looking for your ideal position, all you can think about is how crappy your current position is, how you don’t like your boss, etc. You think about these things and complain with your co-worker every day. This means you are emitting a low energetic vibration and guess what? You will attract another job that you don’t like. Ever wonder why you or someone you know seems to jump from one situation to another constantly, only that nothing really changed? This is exactly why. Now if you first raise your energetic vibration and align it with what you desire, then you will be emitting a high, fine, light energetic vibration. If you desire more freedom, creativity, and abundance in your job, then take note of how you have it right NOW in your current position. Feel grateful for it every single day. And then go out and search for that perfect job. Then, take the key actions to land your perfect position. You will find that your desire will manifest a lot faster. There can also be a real tendency to future trip or replay the past like a movie in your head repeatedly. When you do this, fear inevitably creeps in and that is when instead of your mind being a faithful servant to your heart, your mind becomes a dangerous tool. Your ego will get in the way and prevent you from being deeply connected to yourself. The best way to not let this happen is to always bring yourself back to the present moment. In Eckhart Tolle’s book The Power of Now, he talks about time being an illusion. The past or future needs time to survive and this is how many stay stuck in self-destructive cycles and situations. Instead, entrench yourself deeply in the moment in front of you. It is all you have at the moment and it is extremely precious. Precious because it contains the power for you to become transformed by letting go of your past and future and simply feeling the intense beauty of being alive. Sit with the infinite possibilities as your body softens and you drop into a deep sacred space. You will find that once you start to live more in the present, you will be in a clearer state of mind and receive hits of inner wisdom that guide you to manifesting your desires. You will intuitively know when to take action and when to let go and let the seeds take root and blossom. Remember don’t label the situation, person, or whatever is going on in your life as good or bad. Don’t fight or resist what is happening. The reason why surrendering and not labeling a situation or person is important is because you won’t feel inner conflict. I am not saying that if you are not in a pleasant situation or want to manifest a specific desire, you should not take action. I don’t mean to give up. On the contrary, what I mean is to before you follow any inner guidance or take a devoted action, make sure you are in a peaceful, loving inner space. This is similar to raising your vibration and aligning it with your desire. That intense inner presence will allow you to take action from a positive space and be far more effective than taking action arising from feelings of frustration, pain, or disappointment. This means that as you go through your days, speak with yourself, and speak with others, you consciously only use the highest language. You select the highest words and thoughts. A practice I have adopted is to say affirmations to help me drop into a more loving space. You can also actively monitor your thoughts and words you speak throughout the day by the hour or however you feel comfortable. This will allow you to start to think and behave more consciously rather than on autopilot. What are your thoughts on this post? How do you strike a balance between allowing and action in your life? Please share with me in the comments!